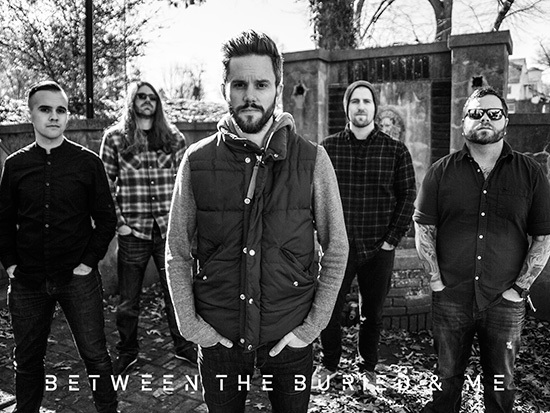 BETWEEN THE BURIED AND ME have released additional behind-the-scenes footage from the recording sessions for The Parallax II: Future Sequence, which is set for an October 5 release via Metal Blade Records. The clip is available exclusively via Guitar World at http://www.guitarworld.com/exclusive-video-between-buried-and-me-recording-parallax-ii. The clip opens with singer Tommy Rogers working on keyboard parts with co-producer Jamie King and follows Rogers as he works on vocals, including playfully wielding a pocket knife during one of the clips.